Vibrant and dazzling, Jordan is one of Middle East’s most sophisticated countries full of lively local cultures and rich history. It is a place displaying a perfect balance between its historical past and its movement into the future. It is also one of the safest countries to visit. 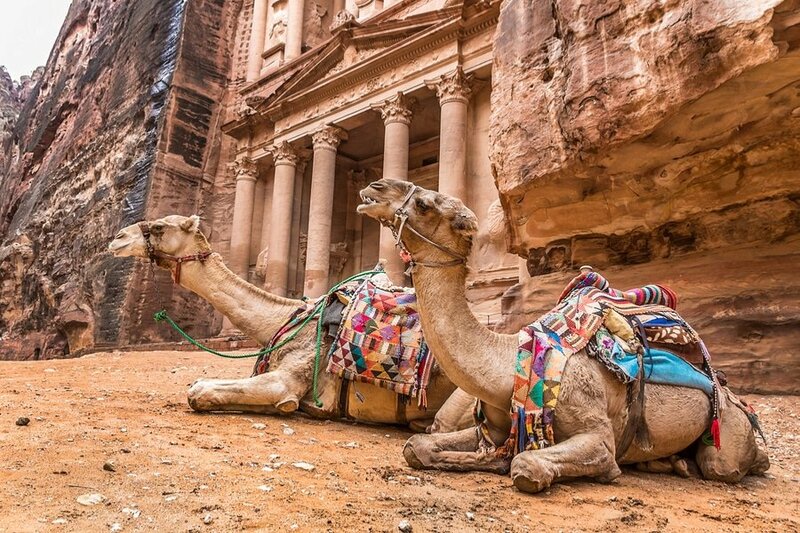 Whether you are interested in archaeological site of Petra, exploring old districts or cooking some traditional Arab fare, Jordan will surely give you more reasons to explore further. Our 8-day suggested itinerary is designed to show you the best the country has to offer and what are the things you can accomplish. Depending on your interests and travel priorities, you can certainly mix and match destinations, activities and attractions, and create your own itinerary. Language – Modern Standard Arabic is the official language of Jordan. English is taught in schools and is widely used throughout the country, so do not worry about not knowing local phrases or words. 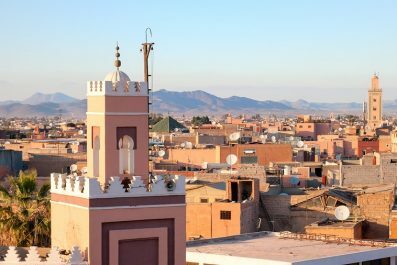 Like other countries in the world, speaking at least some Arabic phrases or attempting to learn is greatly appreciated by the locals. Getting there – Royal Jordanian Airlines is Jordan’s national airline. It is a member of the One World alliance. In addition, Jordan is also served by a number of foreign carriers including British Airways, Air France, airBaltic, Austrian, Alitalia, Aegean,Lufthansa, Egypt Air, Emirates, Etihad, Turkish Airlinesand and Qatar Airways. Jordan’s main airport is Queen Alia International Airport (QAIA), located only 45 minutes from downtown Amman. Round-trip airfare from London starts at 341 USD; from Berlin – 357 USD; from New York – 758 USD; from Hong Kong – 699 USD; from Istanbul only 240 USD. Keep in mind that you may have to obtain visa an entry visa unless you hold a passport from Bahrain, Egypt, Kuwait, Lebanon, Oman, Palestine, Qatar, Saudi Arabia, Turkey and the United Arab Emirates. A number of nationals can get a visa on arrival and depending on the length of the visit, such visa costs between 40 JOD and 120 JOD (56 USD – 170 USD). More info can be found on Jordan Tourism Board website. Also, Jordan has a departure fee 10 JOD (as of March 2015), imposed at land and sea crossings. A departure fee of 30 JOD (as of March 2015) for leaving Jordan by air is included in your airline ticket. Currency exchange – The official Jordan unit of currency is the Jordanian dinar (JOD). Exchanging money in Jordan is easy and follows the same standard to elsewhere in the Middle East. Most major establishments like hotels and restaurants in major tourist and business destinations accept credit cards. Please note, cash remains king in the country. The best way to get local currency is to use the ATMs, which are widely available in Amman and other major cities, and withdraw in Jordanian dinar to get the best rate. Safety and security – There is currently no nationwide security advisory in effect for Jordan. Check your country’s travel advisory website to get the most up-to-date information for your personal safety abroad. Avoid non-essential travel to all areas within 5 kilometers of the Syrian and Iraqi borders. Although crime rate is generally low, remain vigilant because petty crimes like pick pocketing and theft do occur especially in Amman. Etiquette – Jordan is an Islamic country so it’s important to remember some do’s and dont’s to enjoy a faux pas free journey. There’s no need for a foreigner to feel obligated to dress in traditional Jordanian clothing. Modesty is the key in Jordan. For women, avoid revealing clothes so you won’t get unwanted attention. Jeans and shorts not higher than mid calf, knee-length skirts partnered with T-shirts or blouse are acceptable. For men, loose cotton shirts, T-shirts and pants are okay. Lastly, while visiting places of worship, you should be fully clothed. Don’t forget to remove your footwear before entering a mosque. 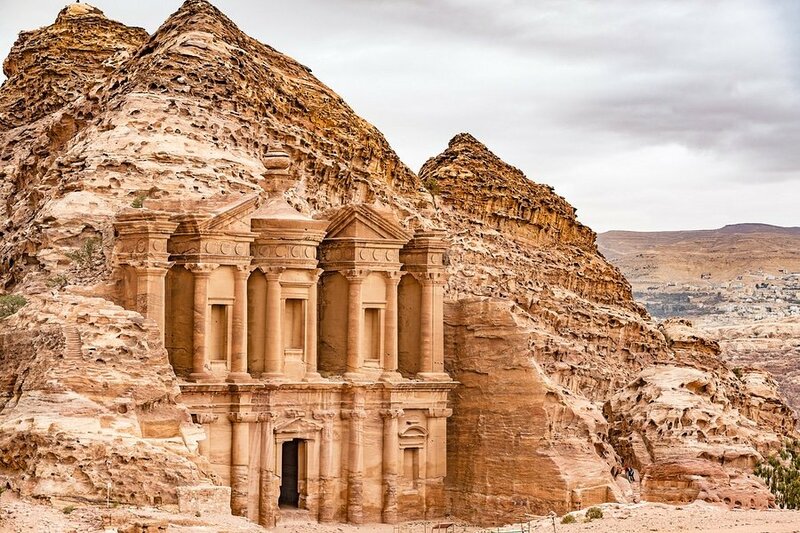 Where to stay – There’s a great variety of accommodation in Jordan, ranging from small family-run pensions to five-star luxury hotels. In almost any neighborhood, there’s something for every level of comfort and budget. 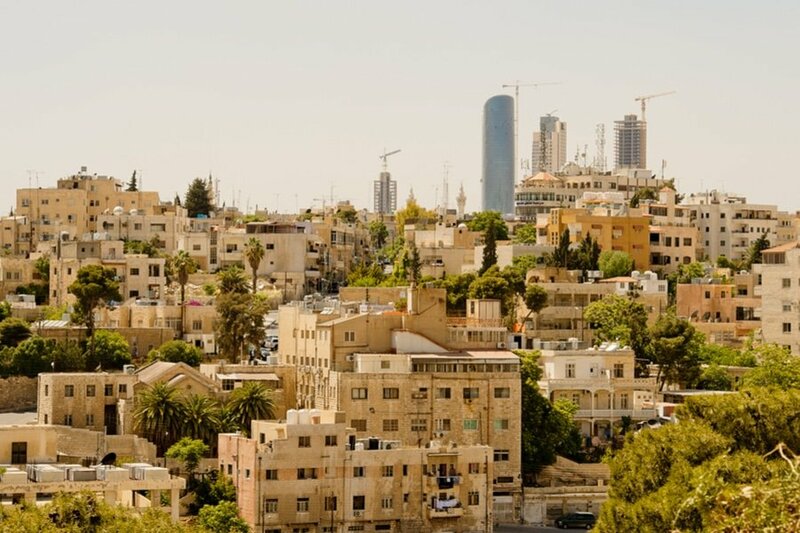 For first time visitors, we would recommend Downtown Amman (known locally as al-Balad) because it is centrally located and close to restaurants, historical attractions and souks. Jabal al-Weibdeh is another great option and is one of Amman’s historic old districts. 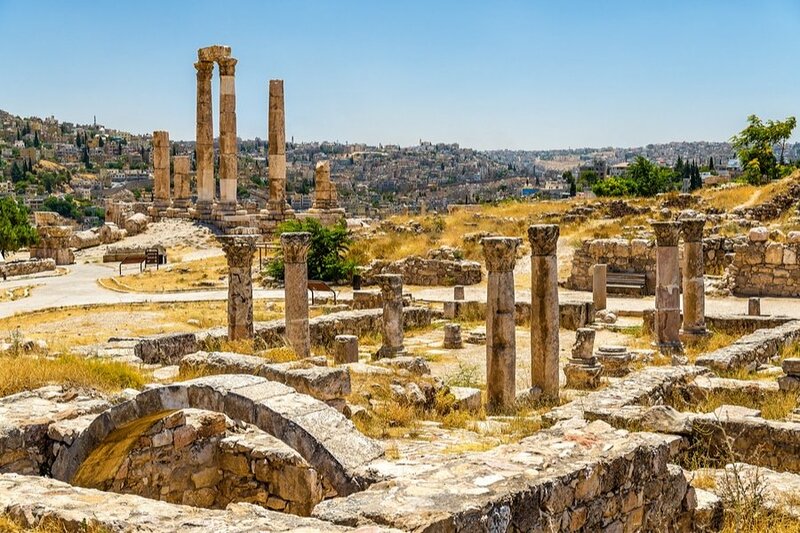 Depending on your time of arrival, you can take it easy and soak up the atmosphere in Amman, or you can begin your tour of its famous attractions. After your arrival at Queen Alia International Airport, check into your preferred hotel/guest house. The airport is conveniently located within 30 kilometers south of downtown Amman. Travel time is approximately 50 minutes. Rest and settle in before you start the tour. Assuming you arrived in the morning, you will probably arrive at your accommodation just before lunch time. After lunch, head to your first destination, The Citadel (Jabal Al Qal’a). 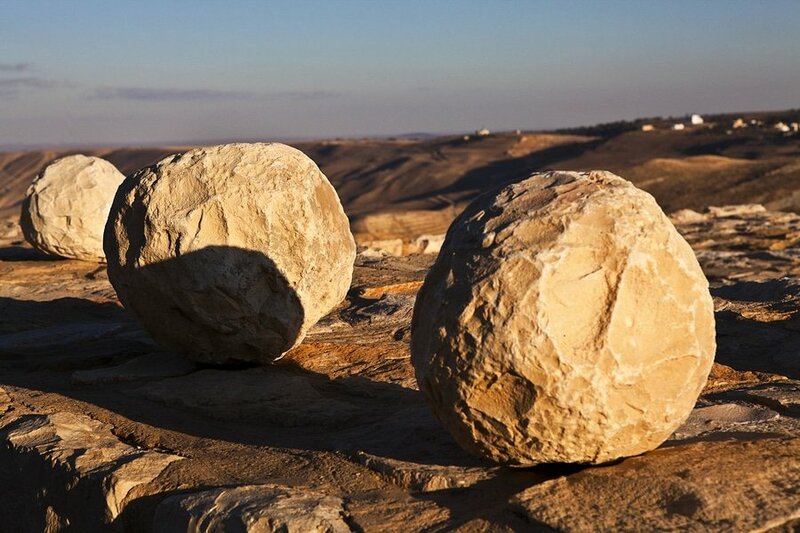 It is an important archaeological wonder in Amman which has been around for thousands of years. Here, you will find ruins from the Paleolithic age as well as Roman structures like Temple of Hercules. Your second destination is the Roman Amphitheater, which is located downhill from The Citadel. 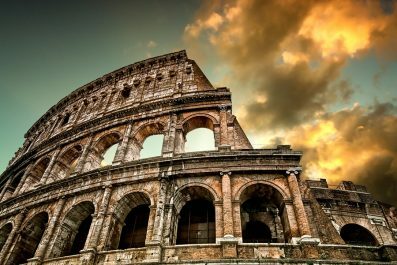 It is another famous historical landmark in the city which dates back to the Roman period. End your day at Old View Cafe & Restaurant (‘Umar Ibn Al Khattab, Amman, Jordan) located in Jabal Amman. This is a perfect place for sunset viewing where you can get a stunning panoramic view of Amman and beyond. After your historic tour, make your way back to your hotel and get a good night sleep so you have energy for a whole day of adventure the next day. On day 2, embark on one of the most scenic journeys in the ancient route of the Kings Highway, by boarding a bus to Karak and Shobak Castles. 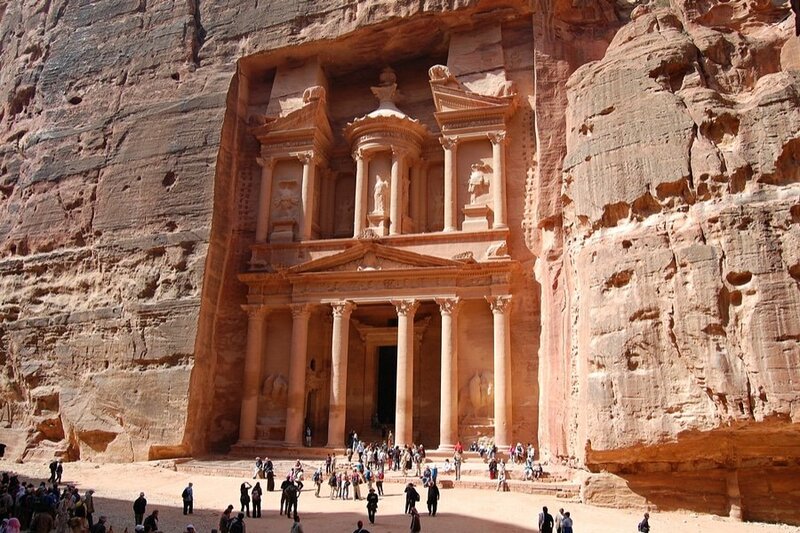 Being in the Middle East (Crossroads of the World), Jordan has been the trade and pilgrim route for thousands of years. The country has seen countless armies come and go. 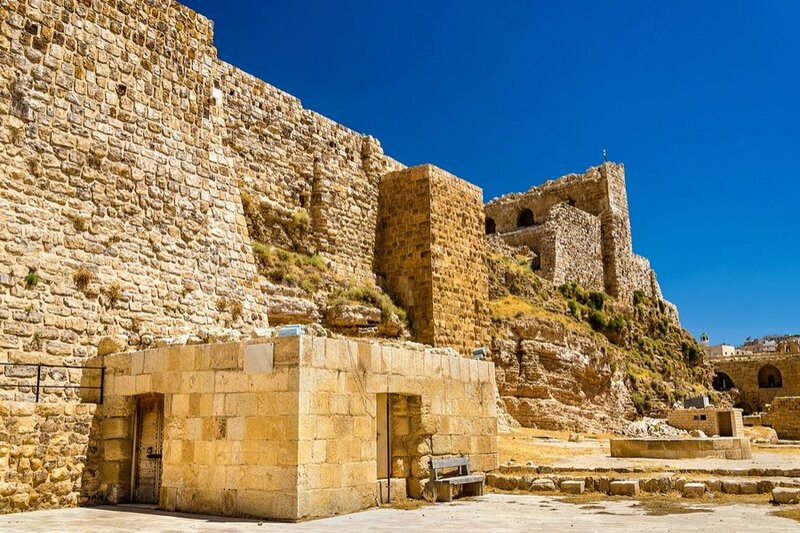 Karak and Shobak Castles are two of the most impressive castles built during the medieval Crusader period. To appreciate the historical relevance of these two castles, we recommend a guided tour. Tours can be arranged prior to your trip. You may also get the service of local guides at the castles. After your tour, hop on a public bus or hire a taxi to Petra, where you will spend the next day (or you can pre-book a transfer from Amman to Petra online). 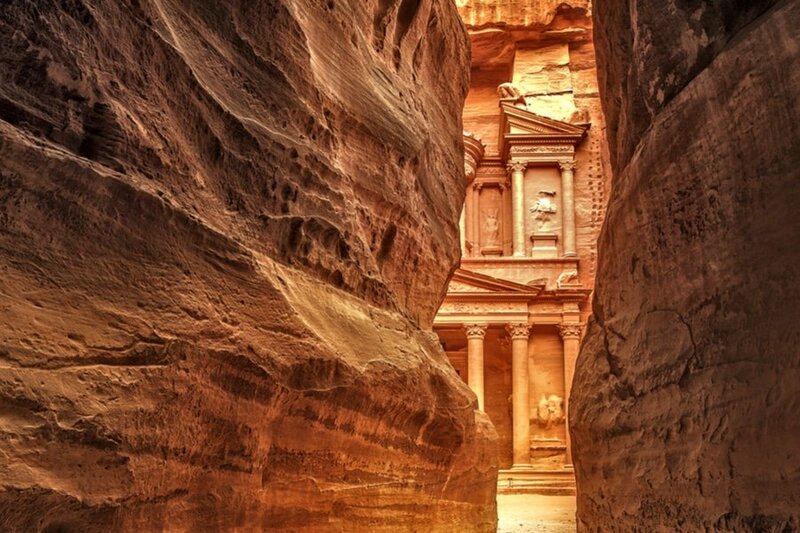 No trip to Jordan would be complete without going on a 2-day excursion to Petra, the famous archaeological site known as the Red Rose City. Wear a comfortable walking shoes as you will do a lot of walking for today. Some of the famous attractions you can visit on Day 3 and 4 are the Treasury (Al Khazneh), Siq, Monastery (Al Deir), High Place of Sacrifice, Petra Theater, Royal Toms, Bab As-Siq and Djinn Blocks. Declared a UNESCO World Heritage Site in 1985, Petra is the ancient city inhabited by the nomadic Arabs (Nabataeans) in 312 BC. During their time, they created an amazing rock-cut labyrinth and an impressive water conduit system. Here, visitors can experience the tangled maze firsthand by getting in them. This is where the Nabataeans thrived before they were conquered by the Roman Empire. Imagine how people lived here, created a community and constructed awe-inspiring structures in ancient times is almost beyond belief. On your fifth day, join a thrilling 4×4 jeep tour of Wadi Rum, organized by a tour operator. 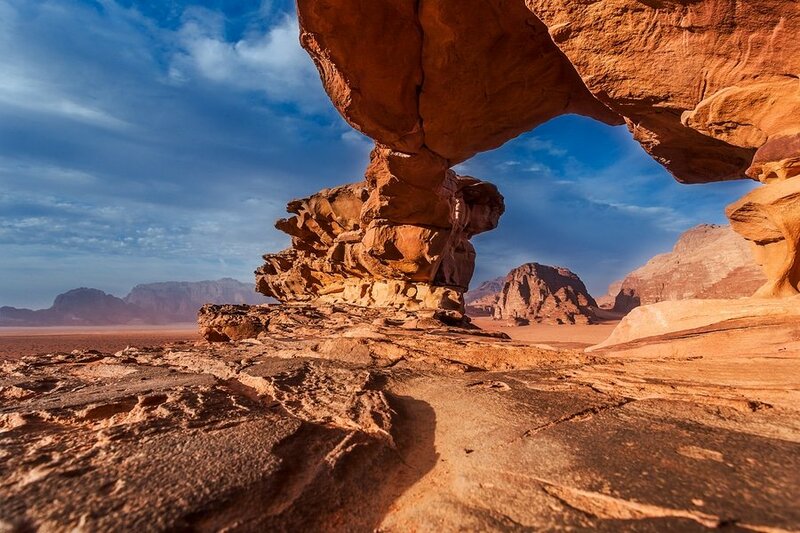 You will be picked up by a 4×4 jeep in your hotel for a 1-day excursion through Jordan’s spectacular red sand dunes. Tours include a visit to Wadi Rum village, Lawrence’s spring, Jebel Burdah and Um Fruth and Abu khasheba canyon. Tours also include camel rides through Rum and Um Ishrin valleys. Enjoy the beach on your sixth day in Aqaba, “The gateway to the Red Sea”. Aside from the sandy beaches and crystal clear turquoise waters, the tropical underwater of the Red Sea is one of the most famous attractions. 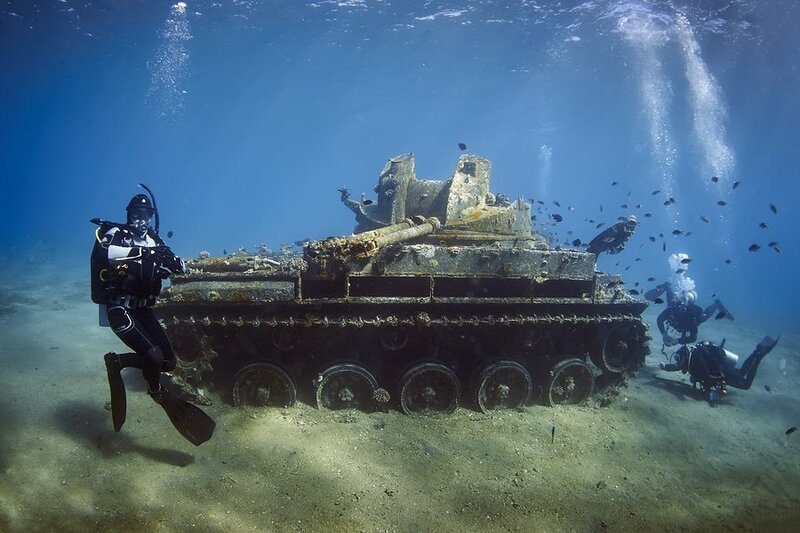 It is a great snorkeling and diving destination with some amazing underwater views… like tanks. 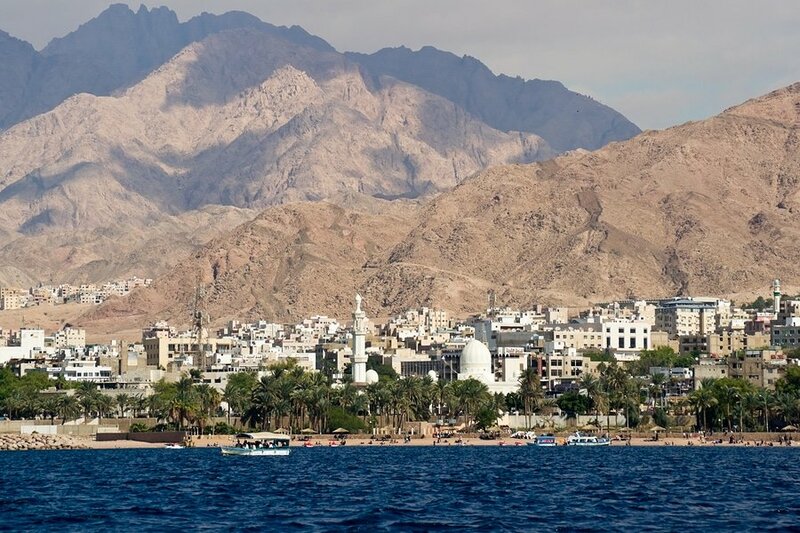 Charming and laid-back, Aqaba is definitely the ultimate beach escape for all sorts of travelers. Travel back to Amman in the afternoon. Is floating in the Dead Sea on your bucket list? After breakfast, embark on one of the most exciting day trips out of Amman by heading to the Dead Sea, known as the lowest point on earth. 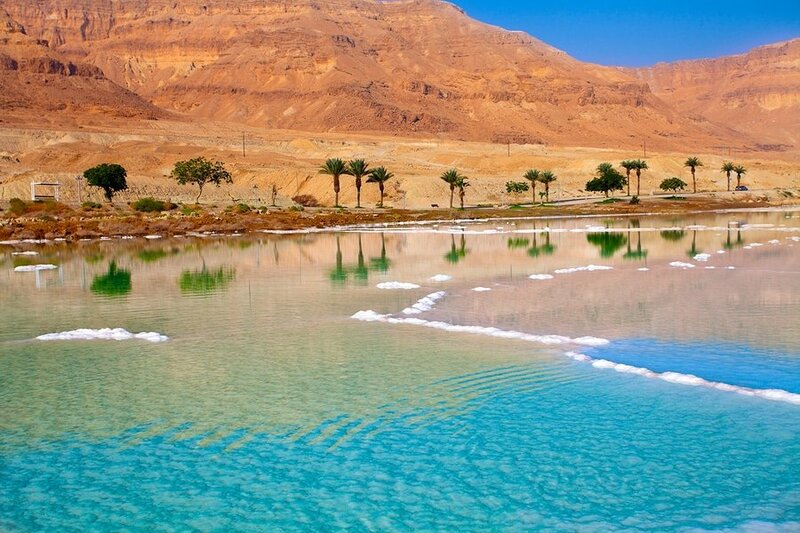 It is a salt lake bordered by Israel to the west and Jordan to the east. 10 times saltier than the normal sea water, one can literally sit on its surface. But because of its high-saline environment, birds, fishes and plants can not survive here. To get to the Dead Sea from Amman, you can either take a public bus or hail a taxi. Travel time is approximately 1 hour. 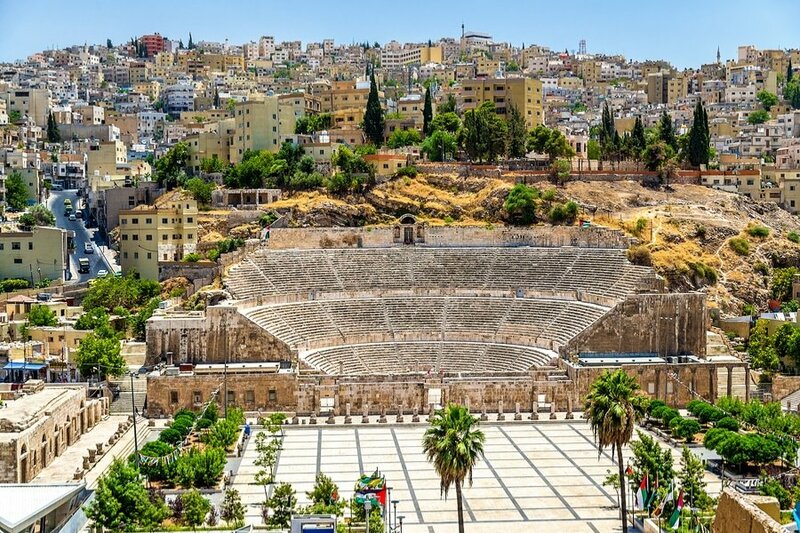 For your final day in Jordan, get a one last whirl through the city to take in other attractions that you might have missed. Head to the airport in time to check in for your international flight, you may also opt to continue traveling independently, or extend your stay in Jordan. This is the end of our 8-day suggested itinerary. Remember, this is just a guide for planning and is in no way, shape or form, the only way to travel the city. There are several alternative routes of travel within the country and it will depend on your intended length of stay. Enjoy Jordan! Have you been to Jordan? Do you have any tips or suggestions to share? If so, you can leave your comments below.